Includes SmartKey® re-key technology with BumpGuard protection! Full 128 bit encryption security! 4AA batteries (no hard wiring)! Works with all HomeSeer Systems! 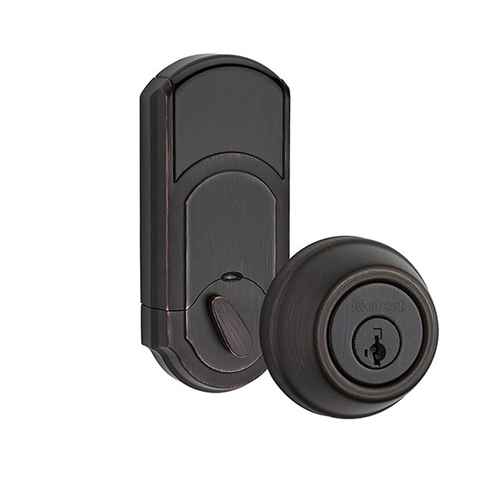 Use with any HomeSeer system to remotely monitor and control the lock. HomeSeer systems can also automate the process of locking or unlocking doors based on time of day, occupancy, alarm system conditions or other triggers. For added convenience, HomeSeer users can also monitor and control lock status with mobile devices such as the iPhone, iPad or Android devices. All Kwikset locks are SmartKey, so you can key all the locks to use the same key without a special order.